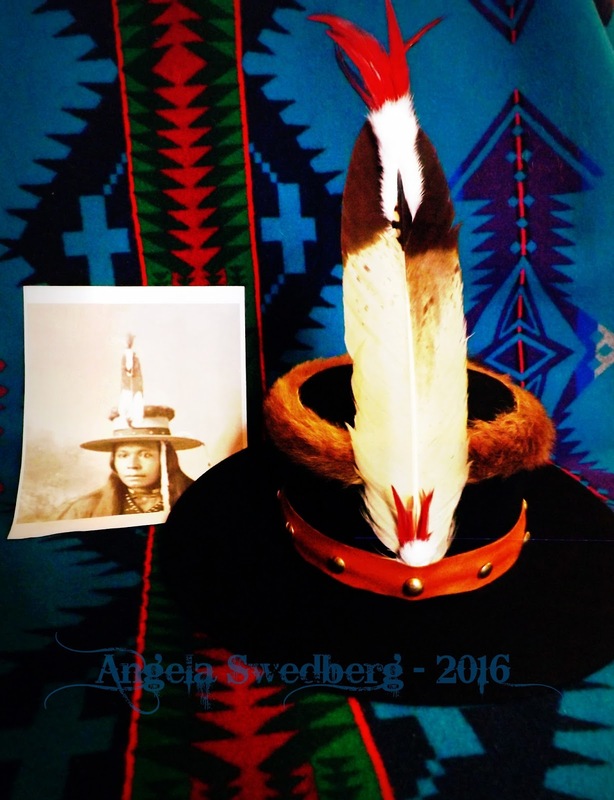 Angela Swedberg: MUSEUM DISPLAY PROPS. On top of my artwork I do, and restoration work, I also work helping museum curators with items to complete exhibits they are planning. I find this work to be a lot of fun! 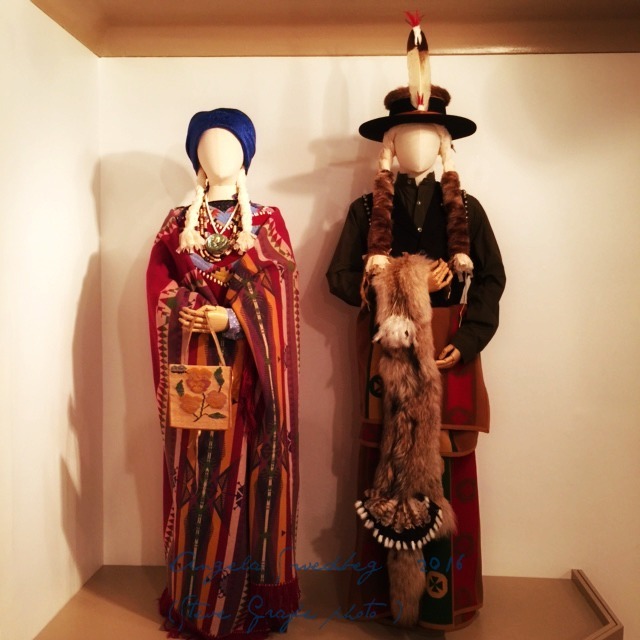 In the case of these items, it is to re-create items that are in historical photos, that no longer exist ( but the rest of the items in the photos do exist and will also be on display ). The items are noted to be reproductions, so there is no misleading the viewer. They are done to simply complete a narrative. 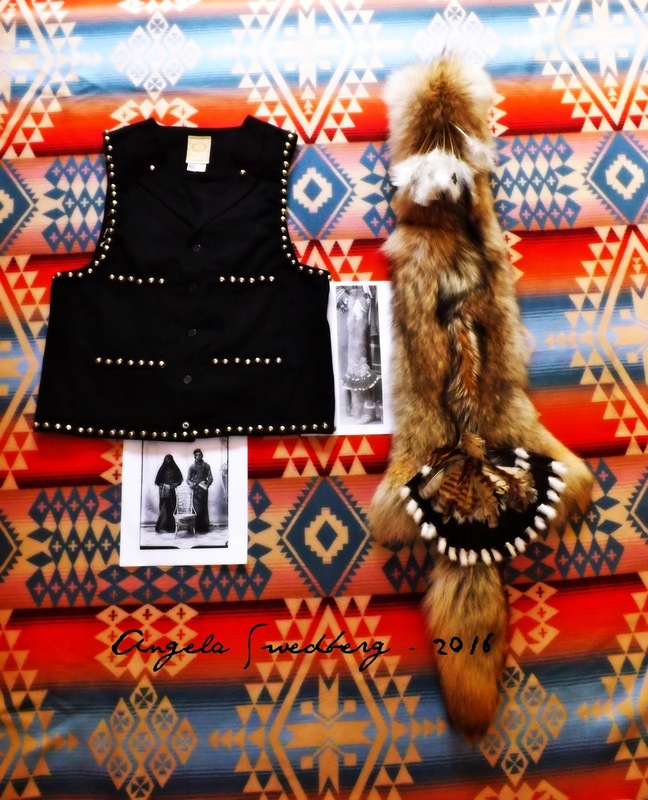 The vest is re-creation of the one worn by the Native man in the photo below it. 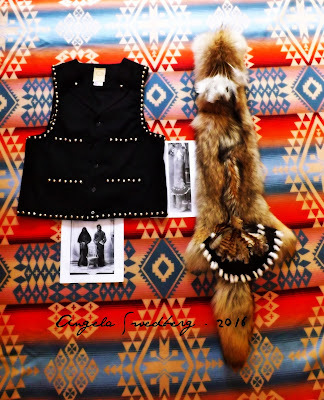 The wolf medicine will be draped over the arm of a display mannequin, like the way it is worn in the photo. The hat is as close as I can get to the one this gentleman is wearing in this photo. The fur on the top is a Mt Lion tail. Now back to my saddle project. Hopefully more to post soon.